Central Administration -> Administrative Report Library -> Search Administration reports. 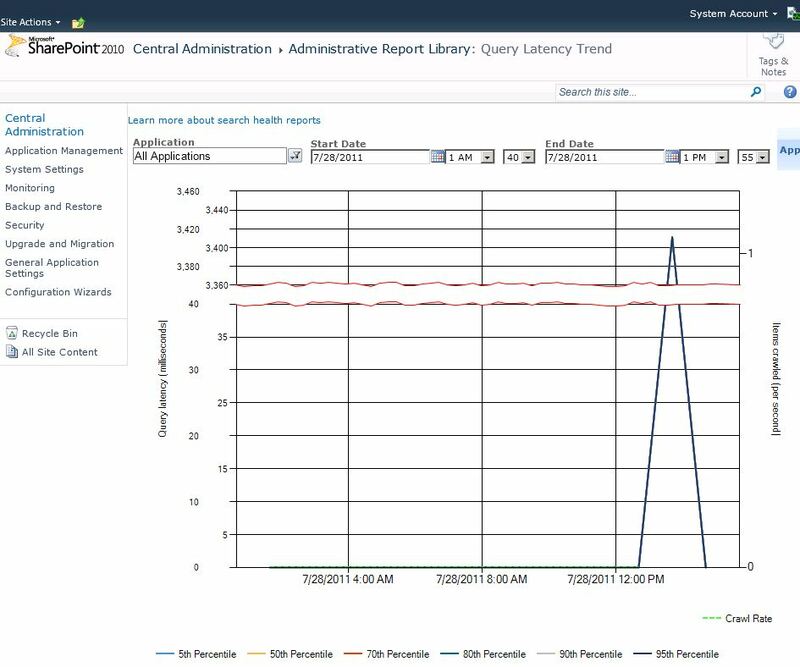 One of the reports that is very useful is the Query Latency Trend chart. This does not work out of the box because verbose query monitoring is disabled.